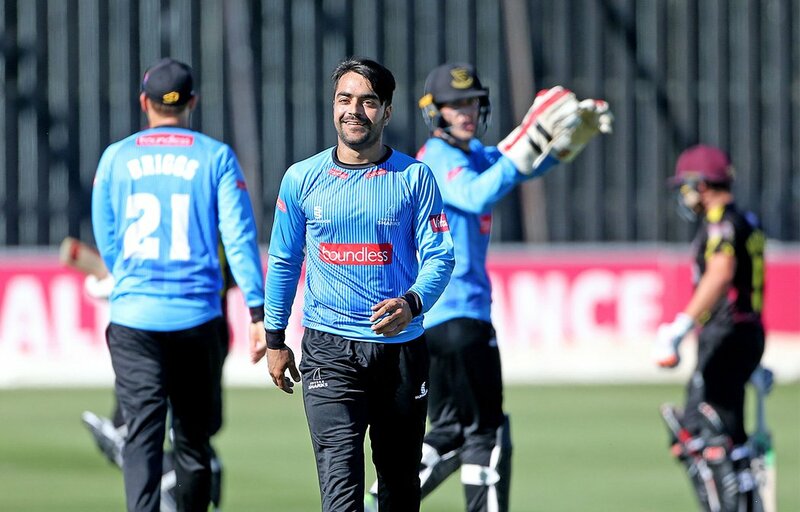 Rashid Khan may hail from Afghanistan and be regarded as one of the hottest properties in world cricket – but right now he’s calling Sussex his home. The 19-year-old wonder kid is officially the number-one ranked bowler in international T20 cricket and the most exciting leg-spinner to arrive on the scene in years. Now he’s quickly becoming a hero on the south coast having signed for Sussex Sharks to play in the T20 Blast – recently extending his contract to cover all 14 of the club’s group stage fixtures. It’s all a bit different to back home in Afghanistan, where Rashid was one of 11 siblings (six brothers and four sisters) as he grew up in Jalalabad. But Sussex is already getting used to his trademark ‘airplane’ wicket celebration – and judging by our chat with the likeable teenager he’s feeling very much at home in England, too. The Vitality Blast T20 between Sussex Sharks and Surrey at the The 1st Central County Ground, Hove, UK. 13 July 2018. 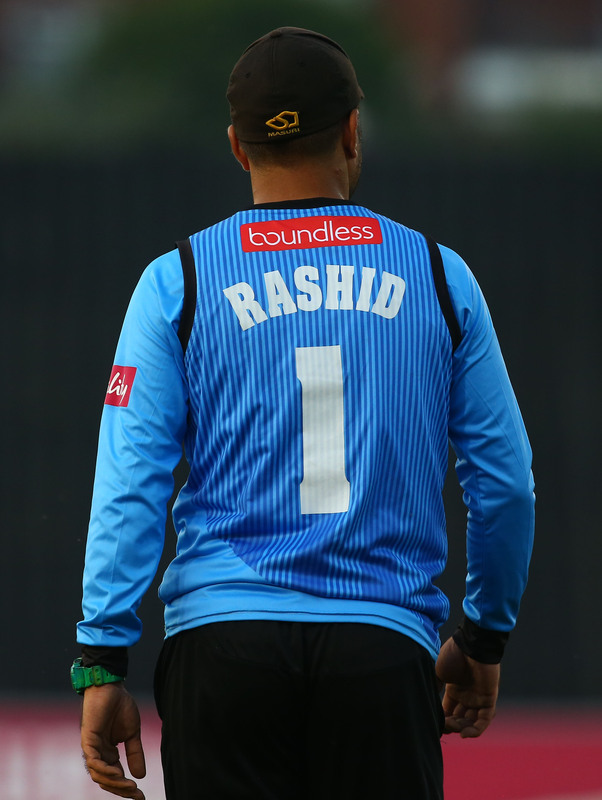 And finally, Rashid, what are you hopes for the future?